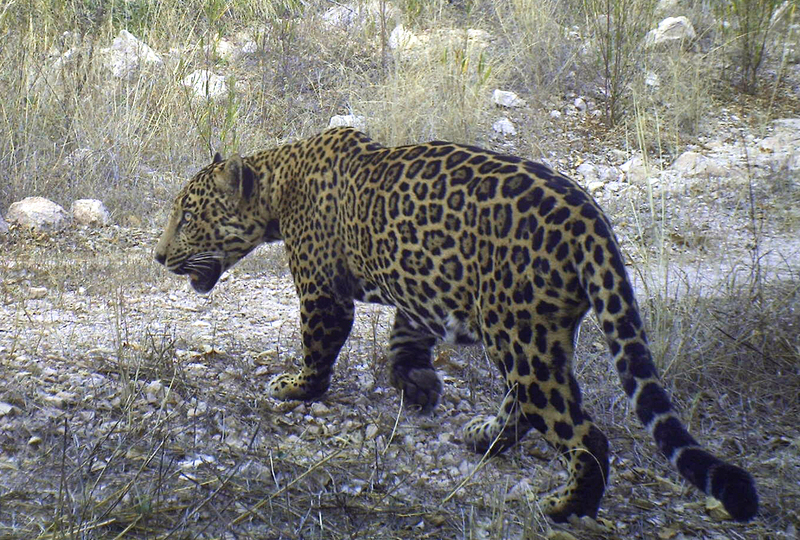 The jaguar “Libélula” celebrates her six-year anniversary on our motion-triggered cameras this month. She is the reigning matriarch on the Northern Jaguar Reserve, a place distinguished by its female jaguars. These jaguars represent the future for this endangered population and are why we need your support now as much as ever. One. We have photographed 10 different jaguars on the Northern Jaguar Reserve and neighboring Viviendo con Felinos ranches since this time last year. This includes Libélula and the new jaguar “Luisa” (pictured above). Both recently suggested they might have cubs nearby. Two. Our Viviendo con Felinos project more than doubles the size of the protected area. The feline results on these ranches continue to break records, with two new jaguars so far this year. Watch the award-winning documentary “Rancheros del Jaguar” and meet the Viviendo con Felinos ranchers here. Three. Our youth activities are overflowing with participants. Each of our Junior Jaguar Guardian outings this year has had dozens of kids working together to set up motion-triggered cameras. These events are fun, popular, educational, and get kids out in nature. Four. Our reserve biologists recently retrieved 170 videos of two playful mountain lion cubs with their mom. View highlights here and here. We cannot think of a better way to illustrate the value your donations have and, even more so, to express thanks for your contributions.